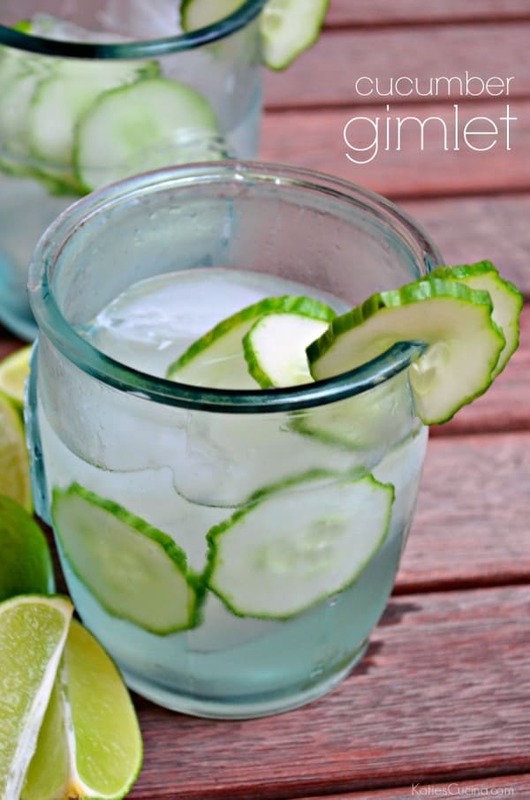 Get ready to tease your taste buds with this easy drink recipe for a cucumber gimlet compliments of Ocean Prime Restaurant. How is it that Labor Day is this weekend? Where did our summer go. Mine was full of packing, moving, renovating, and currently re-packing and hopefully moving next week since it’s now been post-poned for a 3rd time. I hate moving and although I love to DIY I’m slowly starting to hate that too. I love to do it but DIY with a toddler is just about impossible. A task that takes an hour to do turns into 4 hours when your stopping every 5 minutes to entertain because they are bored. 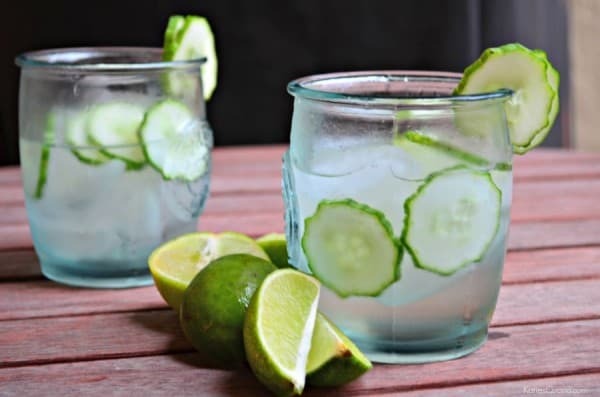 So one day after a long day of renovating I came home to cook dinner and decided to make this Cucumber Gimlet for my husband and I. I first had this drink at Ocean Prime last month. It was divine and I knew I needed to make this recipe at home too! Since you know, it’s about impossible to get a date night without a bouncing tantruming toddler (and we’ve pretty much used up all of our baby sitting hours for the rest of the year from grandparents thanks to our massive renovation). Like I mentioned above, last month, I had the opportunity to dine with fellow food blog friends at Ocean Prime here in Orlando, Florida. We had the privilege to taste some of the items featured on this years Magical Dining Month menu. September is always my favorite month to dine out in Orlando. Visit Orlando has hosted Magical Dining Month for the past 10 years. For those not familiar with this month long special in Central Florida, you can dine at over 70 high-end restaurants and enjoy a prix fixed menu for just $33 per person! Typically each participating restaurant has 2-4 appetizers, entrées, and desserts for guest to choose from. Ocean Prime is giving guest five entree options this year! Which is more than most restaurants give. This is the perfect time to try a wide-variety of high-end restaurants at an affordable price. $1 dollar will be donated to every purchase made during Magical Dining Month. If you follow me on Instagram then you saw a nice preview of the dishes that Ocean Prime offers. You can also follow Ocean Prime on Twitter and Instagram to stay up to date on new menu items and specials! While we were at the preview I sipped on the Cucumber Gimlet and it was delicious down to the last sip. My friends at Ocean Prime were nice enough to share their recipe with me and my readers! It’s super simple to make and very refreshing on a hot summers day. Perfect to make at this weekends barbecue with family and friends. I recommend making the simple syrup the day before so it has enough time to cool in the refrigerator. Once your ready to make the cocktail it comes together in seconds! 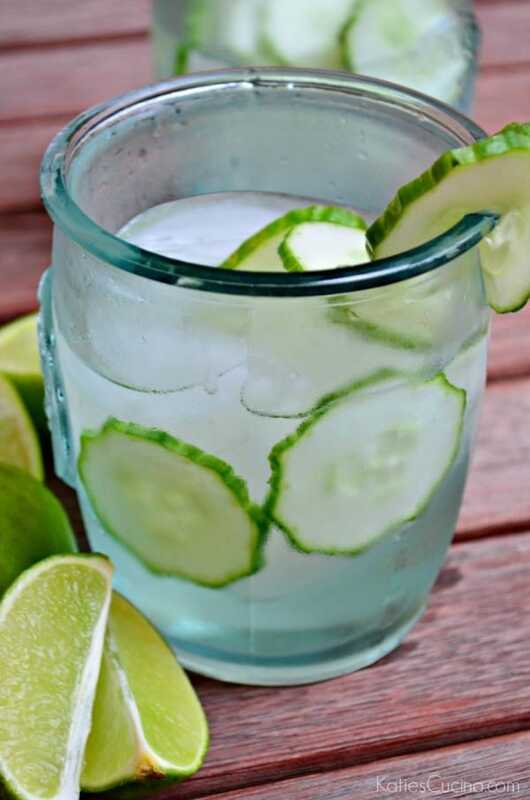 By combining gin, freshly squeezed lime juice, simple syrup and cucumber slices you’ll have your very own Cucumber Gimlet in your hands within minutes of making it! Disclaimer: I was provided a free meal from Ocean Prime. I was not paid nor required to write a post. As always all opinions are my own.